Tunisia surely knows how to celebrate October in a dreamy way. The great atmosphere and magical landscapes make this time of year perfect for welcoming autumn lovers all over the world. One other reason to love this month : Musical October ! In his 24th edition, this event is still a wonderful tribute to classical and chamber music. For all those who have the slightest interest in the genre, we invite you to come and take part in a musical journey that never fails to delight its audience. 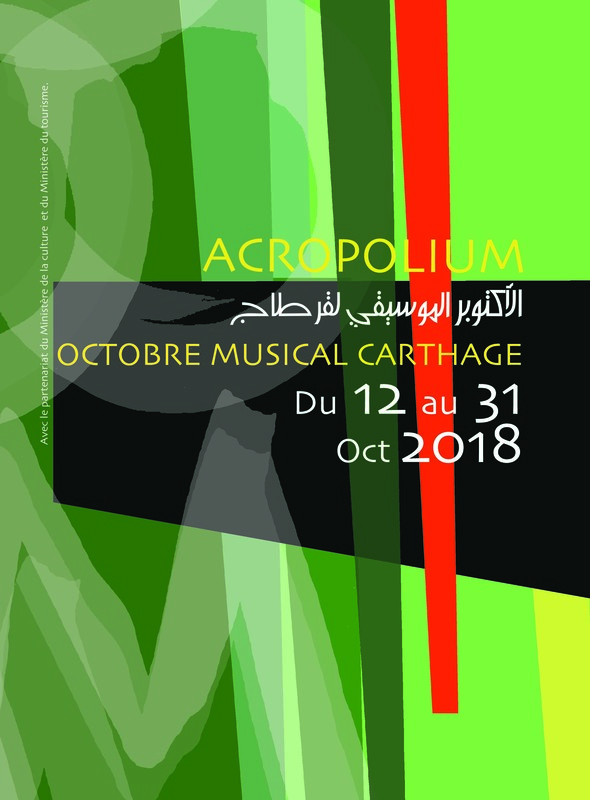 The concerts will take place, between the 12th and the 31st of October, in the impressive Acropolium of Carthage, a massive structure built atop Roman ruins in the late 1800s. In these quite pleasant surroundings, artists from around the globe will play a wide range of musical works for a spectacular performances. Traveling to Poland, France, Spain, Bulgaria, Japan, Russia, Morocco, Italy, Romania or Belgium was never this simple with fine musicians such as Meko Miyazakin, Pavel Zlatarov and Eva Steinschden sharing their breathtaking experiences through magical tones. The opening and closing of the event will feature talented Tunisian artists known for their distinguished taste and exceptional performances. These unique shows are open to all music enthusiasts and tickets will be available on site.